Therapeutic IVs are a safe, powerful and approved method that support the resolution of numerous health problems such as chronic disease, infections and fatigue. IVs containing critical vitamins, minerals, and other essential nutrients are the signature therapy at our clinic. At Holistic Medical Center we look forward to helping you achieve optimal health through the use of these therapies - without the use of drugs. All living things need nutrients for growth and health. The human body requires a number of vitamins and minerals in order to function properly. However, when the nutrients the cells need are not available, the optimal balance of the essential elements is thrown off, leading eventually to impaired cellular function. Over time, impaired cellular function leads to health breakdown and chronic disease. Our goal, therefore, is to bring patients back to health by correcting cellular deficiencies and imbalances. Science has proven that vitamins and minerals, not drugs, are what our bodies need in order to heal. IVs containing the critical vitamins and minerals, as well as other essential nutrients are the signature therapy at our clinic. 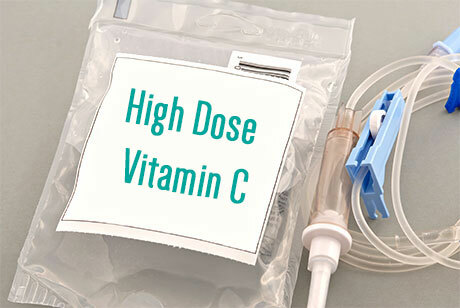 Intravenous therapy is a wonderful way of getting high doses of vitamins and minerals delivered directly to the cells. It is the fastest way to restore deficiencies by bypassing the digestive system and going directly into the bloodstream. As the nutrients flood and penetrate the ailing cells, cellular healing occurs. Once the cells are healthy and functioning properly, marked improvement is seen and the body slides back into health. Patients who receive a series of IV treatments become progressively healthier and experience dramatic results. IV therapy is a safe and powerful therapy that supports the resolution of many health problems. At Holistic Medical Center we are pleased to offer the wonderful benefits of IV therapy to our patients. The Myer’s Cocktail is a powerful intravenous vitamin-and-mineral formula, beneficial in the treatment of a wide range of clinical conditions. It contains the right mix of all the critical nutrients needed by your body for overall wellness. The cocktail includes B-vitamins, B-12, Vitamin C and magnesium and calcium. Vitamin C is a potent antioxidant and has diverse uses in promoting health and disease prevention. Vitamin C helps to repair and regenerate tissues, protect against heart disease, and aid in the absorption of iron among other functions. As well, research also indicates that vitamin C may help protect against a variety of cancers by combating free radicals. It is also used as an adjunct therapy with chemotherapy by boosting the immune system. Vitamin C also lessens the duration and symptoms of a common cold by supporting healthy immune function. 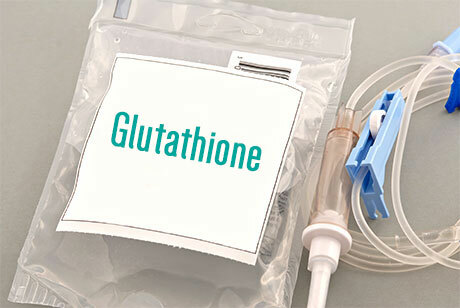 Glutathione is referred to as the master antioxidant. It is one of the body's most effective antioxidant and detoxifying substance, especially for the liver. The body uses it to prevent cellular damage and for cellular building and repair. Alpha Lipoic is another powerful antioxidant and has been shown to prevent cellular damage in the body. It attaches itself to free radicals and therefore is an effective defense against disease. NAC has broad benefits to health. NAC serves as a precursor to glutathione — the key antioxidant that provides protection against free radicals and toxins in the body. Due to its unique properties and numerous benefits, NAC is used in both conventional and alternative medicine. Every hospital emergency room stocks it as an antidote for acetaminophen (e.g., Tylenol) poisoning. Large doses of acetaminophen, or chronic use at lower dosages, can destroy the liver’s ability to make glutathione, resulting in liver failure and death. 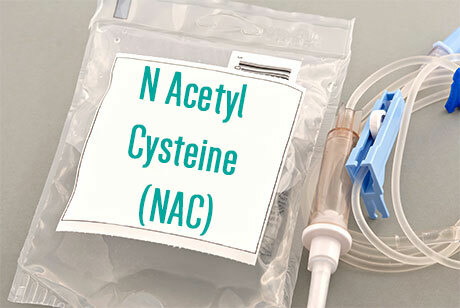 NAC restores normal liver levels of glutathione and helps to heal the liver damage caused by acetaminophen. It’s also used in conventional medicine to break down large amounts of mucus, a common symptom of conditions such as emphysema, bronchitis, pneumonia, and chronic obstructive pulmonary disease (COPD). Chelation therapy is a means of clearing the body of excess heavy metals and environmental toxins. It is used in conventional medicine for removing heavy metals including mercury from the blood. It involves intravenous infusion of a chelating agent called EDTA. The EDTA binds with the harmful metals and then both are eliminated from the body through the kidneys. The biggest benefit of chelation therapy is in controlling levels of the various environmental metals in the blood. These metals, including lead, mercury, aluminum and arsenic, can cause short- and long-term health consequences as they impact the functioning of the central nervous, cardiovascular, and immune systems. When the body is out of balance due to an overload of toxic substances, malfunction and damage to vital organs can develop. Some health professionals also use chelation therapy to treat atherosclerosis and/or coronary artery disease. It is believed that the EDTA binds with calcium deposits (the part of plaque that obstructs the flow of blood to the heart) in the arteries, and then "cleans out" the calcium deposits from the arteries, reducing the risk of heart problems. At Holistic Medical Center there is no wait time or appointment necessary. Give us a call!